California’s Smoking Age Raised to 21: Gov. Brown Signs New Laws | Arleta Neighborhood Council California’s Smoking Age Raised to 21: Gov. 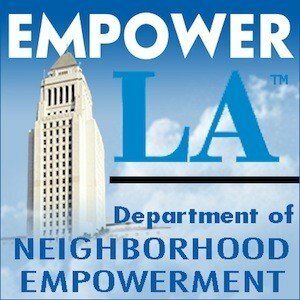 Brown Signs New Laws | Arleta Neighborhood Council | Making Arleta, CA the Greatest Neighborhood in Los Angeles. One Day at a Time. It’ll soon be more difficult for California’s youth to get their hands on a pack of cigarettes or an electronic smoking device. Starting this summer, the legal smoking age in the state will be 21. ABX2-7 by Assemblymember Mark Stone (D-Scotts Valley) – Smoking in the workplace. ABX2-9 by Assemblymember Tony Thurmond (D-Richmond) – Tobacco use programs. ABX2-11 by Assemblymember Adrin Nazarian (D-Sherman Oaks) – Cigarette and tobacco product licensing: fees and funding. SBX2-5 by Senator Mark Leno (D-San Francisco) –Electronic cigarettes. SBX2-7 by Senator Ed Hernandez (D-Azusa) –Tobacco products: minimum legal age. The most recognizable bill is by Sen. Ed Hernandez, which raises the age one must be in order to purchase tobacco products from 18 to 21. Sen. Mark Leno’s bill on e-cigarettes is also one that will affect many in California, where the use of such devices has been growing in popularity. Now, they’ll be prohibited in all the same places where traditional smoking is already banned like schools, restaurants and public transportation. Smokers will also have to be 21 to purchase electronic cigarettes and vaping devices. The L.A. Times reports that since these bills were signed during a special session, they’ll take effect in June. One related bill, ABX2-10 by Assemblymember Richard H. Bloom, D-Santa Monica, was vetoed on Wednesday. That bill sought to allow counties to levy taxes on tobacco products. “Although California has one of the lowest cigarette tax rates in the nation, I am reluctant to approve this measure in view of all the taxes being proposed for the 2016 ballot,” Brown said in a veto message. The American Lung Association notes that 90 percent of tobacco users begin smoking before the age of 21. Tobacco-related diseases killed 34,000 Californians in 2009 and cost the state more than $18 billion in medical expenses, according to studies by UC San Francisco. California communities also continue to clamp-down on tobacco products. In Northern California, the city of Livermore recently designated a “downtown non-smoking area” while two Southern California cities took action against e-cigarettes. If you use tobacco, skip Manhattan Beach altogether.